Google has been answering to our trillions of search queries but do you know the tech giant also has solutions to your boredom? Check out these 11 little fun features of Google as compiled by Times of India. 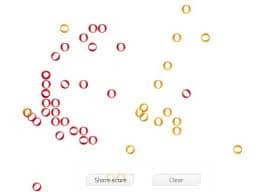 Search for ‘Zerg Rush’ on Google and you can see red and yellow O’s called the ‘Zerglings’ fall on the screen and eat your search results. You’ll have to defend the results by clicking on the Zerglings and eliminating them before they could cause any damage. 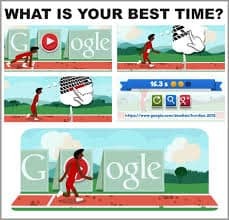 Best of all, Google keeps score that can be shared on Google+ or get back to the search results by closing the game. A widget on the right side tells you how many times you have clicked to eliminate Zerglings and how many were successful. If not, all the Zerglings will wipe out the search links. If you are one of those flight enthusiasts who want to experience flying the plane than Google can offer it right on your computer screen. Google Earth allows the users to actually fly a virtual jet on the computer screens, to do this you will have to go to the tools menu and opt for eFlight Simulator. 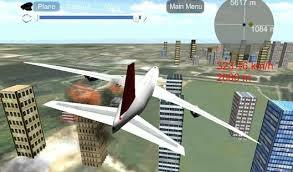 It allows you to choose the take off positions and the desired aircraft models. 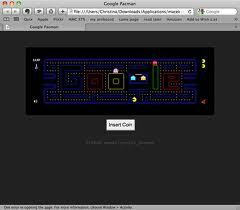 Search for‘Pacman’ on Google and on the first link the game can be found. It was the most popular game on the video- game devices. Thanks to Google, the game can be played right on your computer screens. Apparently Google had a doodle up on its website on the game’s 30th anniversary allowing the users to play it on their computers. Type ‘Google Guitar’ on Google, and you can find that the inventor of electric guitar, Les Paul’s 96th birthday was remembered on Google by putting up a guitar doodle where the users can actually strum on it. 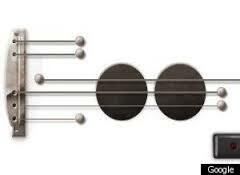 ‘Google’ was restructured to look like a ‘guitar’ and the users could play it using the keyboard or a mouse cursor. The best part is, they can even record tunes on it and Google would upload it on the web for them, so that they can listen to it again and again. This famous game from the 70’s can be played side by side when waiting for a video to buffer or waiting for a song to be downloaded. The arrow keys on the keyboard left, right up and down are to be used when playing the game. 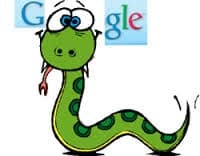 The game can be played by Googling ‘Snake’ and it appears as a doodle. Search for‘Google Hurdles’ and you get an interactive Doodle which adored search page during the London Olympics 2012 with a runner jumping over the obstacles and could be played with a keyboard. The dedicated doodle had levels of difficulty where people could set high scores and challenge their friends too. 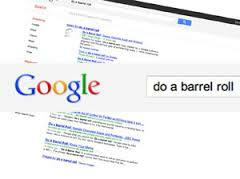 Barrel Roll is another cool gimmick from Google. Search for ‘Barrel Roll’ on Google and the first link shows up saying ‘Do a Barrel Roll’ click on that and it rotates the web page in 360 degrees. This can be repeated again by refreshing the page. Moog Synthesizer was popularly used by the music artists of 70’s and the 80’s to add depth to their songs. The doodle was put up on Google as a tribute to creator of Moog Synthesiser, Robert Moog’s on his 78th birthday. On the doodle the Synthesizer could be used with the keyboard and the mouse and consisted of features like the mixer, oscillators, filters and the envelope with which you could play around and make your own music. 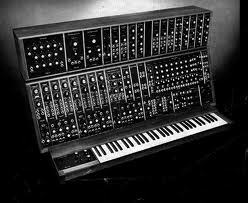 Googling ‘Moog Synthesiser’ will show up the Doodle. Newton’s discovery of Gravity was once again proved on Google with this feature. 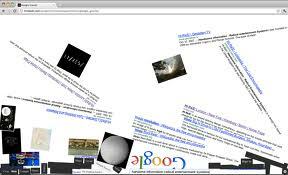 Just type ‘Google Gravity’ on the Google search and the entire homepage appears in a mirror like image and starts to fall apart, as if pulled by gravity. You can take the fallen pieces and throw them anywhere on the screen . Googling ‘ Google Gravity’ will get you on the act. This trick by Google called the ‘Google Hacker’ changes the English language on the search bar into some unknown meaningless language. 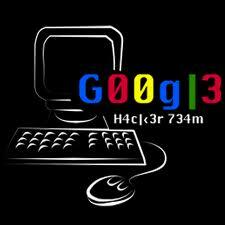 The trick is done when you Google ‘Google Hacker’ and then press enter. 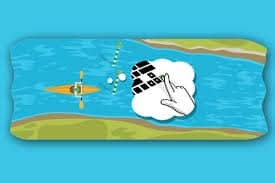 Slalom Canoe was another interactive doodle from Google during the time of London Olympics 2012. The game has a canoe and a rower which can be controlled by the keyboard has to avoid all the obstacles and pass through the checkpoints and finish the course in the shortest possible time. Google it to play it.